LOL! Twitter Blames Bow Wow For Atlanta Falcons Super Bowl Loss - Ooooooo La La! how upset do you think Bow Wow is in this photo? What an amazing Super Bowl last night, hunh!? Tom Brady and his team, the New England Patriots, pulled off the impossible and stole the game away from the Atlanta Falcons in the first-ever Super Bowl overtime, wrapping up the 51st Super Bowl with a score of 34-28. Now, it seems as if many Atlanta fans were pre-celebrating their teams victory, because with a 20 something point lead, many would assume the Falcons would win, right? Welp, never count Tom Brady out! After New England won, reality hit hard for these Atlanta fans and they humbled themselves REAL QUICK! 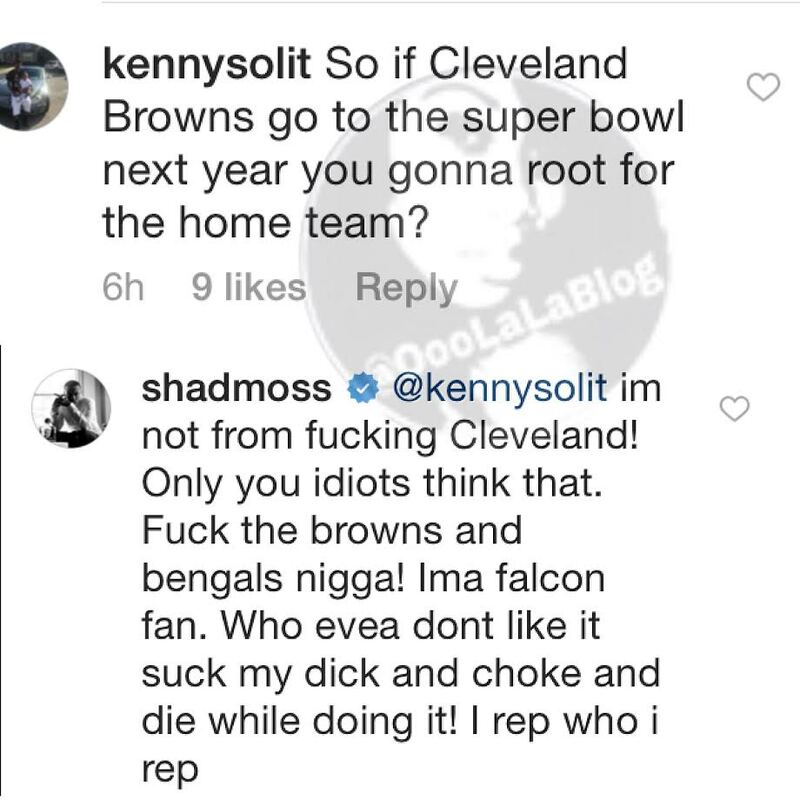 One of those Atlanta fans were Shad Moss a.k.a Lil' Bow Wow. Now, Bow Wow was the #1 trend on Twitter last night which left me confused at first. I was like OH NO! Did the lil' guy die or something?! 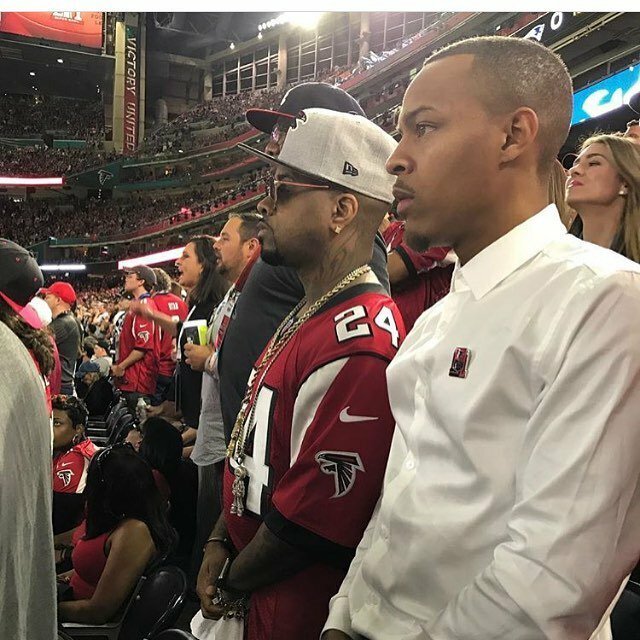 Well, turns out some peeps are actually blaming Bow Wow - who was in attendance for the Super Bowl in Houston - for the Falcons loss, saying after he tweeted his #riseup pic (shown below), the Falcons didn't score anymore. LMAO! Wow. 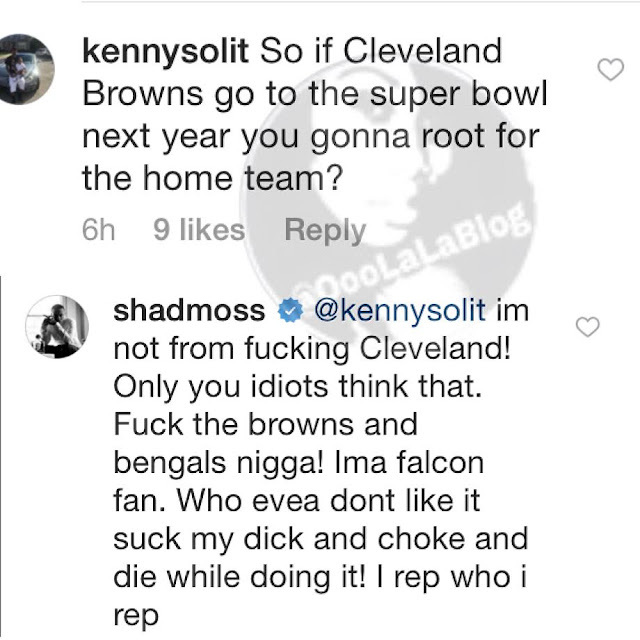 Fans started getting on Bow Wow for representing Atlanta so hard just because the rapper was born in Columbus, Ohio, although he's been reppin' Atlanta for over 20 years. Dayummm! Lil' man snapped! Taking that Falcons loss kinda hard, hunh? And to be clear, you don't have to rep your home town. There's no obligation or contract, lol. I'm from Jersey and I'm not a Giants or Jets fan. But, just don't be wishy washy, if that's ya team, then stay with them, through the wins and the losses. Better luck next year, Atlanta fans.